Students may wish to exit with this qualification or use it as the first level towards completion of the degree. We try to include a wide variety of assessment methods throughout our programmes. Types of formative (non-credit bearing) assessment include individual tutorials, on-site visits, group discussions, written and oral feedback on essays. Our Summative (credit-bearing) assessments include research essays, case studies, group projects, individual projects, placement assessment (portfolios, reflections), book reviews, and a limited number of module examinations. The Dip HE in Theology provides a solid foundation for ministry. Past graduates have gone on to service in pastoral ministry or has equipped lay people in their local church and community. The Diploma of Higher Education in Theology: Youth Ministry pathway is suited for those who want to be equipped for Youth Work, but do not feel the desire to pursue a full degree for national recognition. Past graduates have gone into roles as church youth workers. NTC offers small class sizes, with classes ranging from 5 to 35 students. Most classes run in a weekly format, and are complemented by intensive sessions in January and May. Youth Ministry students also have a September intensive week each year. Teaching methods include lectures, seminars and class discussions, oral presentations, group work, individual tutorials, directed reading, case studies, individual supervision, and student-led seminars. Students on the Youth Ministry pathway also have a placement throughout their Diploma that contribute to one-quarter of their programme of study. Students will receive a minimum of 120 (Cert); 240 (Dip) credits while on this course. Core modules include: Introduction to Theology and Biblical Studies, Story of God, Church History, Christian Doctrine, Spiritual Formation, Christian Holiness, a range of Old and New Testament subjects, and Practical and Social Theology electives. Study is combined with a Main Placement throughout the course and an Alternative Placement in a different context at the end of the first year. Students typically continue with the same Main Placement organisation for the duration of their programme. This on-going work context means students have the opportunity to develop rich professional relationships, learn to work through the difficulties which they may encounter and to gain a deeper understanding of their role and the organisation over a longer period of time. Both placements are credit-bearing and count towards the final award. Students will do no less than 13 hours a week in the Main Placement (usually over 30 weeks per year), and the Alternative Placement provides the opportunity to develop youth and community work and ministry experiences through a full-time model of practice (usually 37 hours per week for 6 weeks; or 222 hours). A range of placement settings including a consideration of workplace-based placements are available; from community projects to churches, schools to youth centres, detached youth work and arts-based projects and provide a supportive learning space. 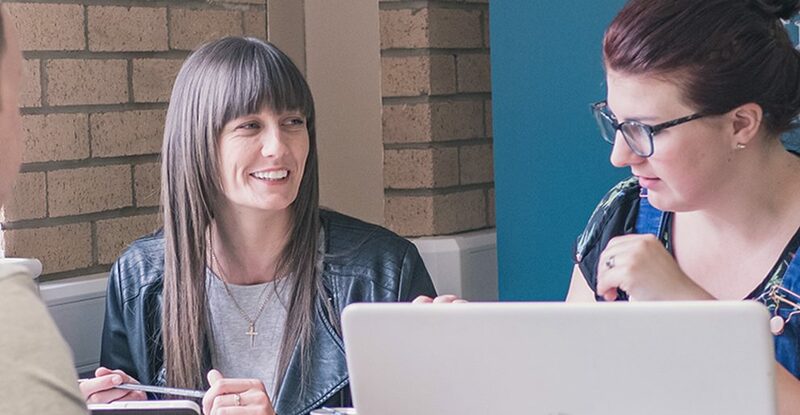 Core modules include: Placements, Youth and Community Work and Ministry Essentials, Empowering People, Power & Anti-Oppressive Practice, Preparing for Professional Practice, Biblical Studies and a range of Old and New Testament subjects, Christian Doctrine, Theology and Church History. Four passes at a grade C or above in GCSE subjects including English (or their equivalent). Mature student entry is also available. Applicants whose first language is not English need to demonstrate their English proficiency. Undergraduate students need a minimum IELTS score of 6.0, or its equivalent, overall.